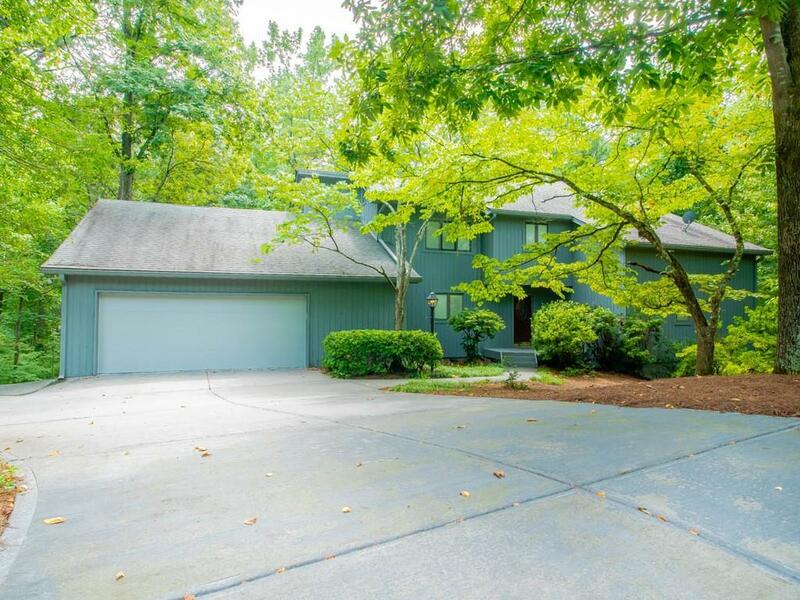 Fantastic opportunity to live in sought-after n'hood in Riverwood High district! Tranquil, private cul-de-sac setting w/ soaring ceilings, gleaming hardwoods, extensive natural light & thoughtful details throughout. Master on Main offers spa-like bath w/ steam shower & jetted tub. Wrap-around deck, open great room w/ custom built-ins - entertainer's delight! Huge finished terrace level w/ full bath & two large bedrooms, bar area & flex space. Flat driveway, low maintenance yard. Unbelievable storage on three finished levels. Immaculately maintained, amazing location! Directions: I-285 To Riverside Drive. Head North On Riverside. Turn Left Onto Edgewater Drive, Continue All The Way Until It Dead-Ends Into Mountain Creek Trail. Turn Right On Mountain Creek Trail, Left On Mountain Creek Trace. Home Is On The Right, In Cul-De-Sac.